NBC and The Guardian (UK) are launching the largest independent survey of drug use patterns in the world. I strongly encourage you to complete this rather detailed drug use survey (http://www.globaldrugsurvey.com/mixmag2013/). Unlike most prior studies that focus mostly on patterns of use and/or side-effects, the survey ask participants to evaluate the perceived benefits as well as the undesirable effects of a wide variety of substances, be they recreational, social, sexual, physical, behavioral, emotional or mental. In addition, the surveys ask you to evaluate how various changes in the legal status of illicit drugs, ranging for decriminalization to regulation, may affect your patterns of use. The results of the survey will be published in March 2013 and could open a more objective and honest discussion about drug policy reform, changing how drug users are perceived, ending their ostracization and demonization. The survey is anonymous and confidential and will run until the end of December. The survey is supported by NBC in the US; Fairfax Media in Australia and New Zealand; and in the UK, The Guardian, Mixmag and Gay Times. Last year survey reveals that while young people have tendencies to risky use behavior, the vast majority of users live healthy, productive lives. Colorado, Oregon, Washington or … Uruguay, who will be first? Will 2012 be the year? Drug policy reform is moving along in the world and 2012 might very well be the year when marijuana will become legal in some part of the world, more precisely, somewhere in the Americas. Colorado, Oregon, Washington or … Uruguay? In the US, all three marijuana legalization initiatives on state ballots are gathering support left and right (mostly left though), including state legislators, the local democratic party and the NAACP. Polls give a widening edge to the Colorado initiative with support growing to 47-38, and strong backing by independents. http://www.publicpolicypolling.com/main/2012/08/co-voters-favor-assault-weapons-ban-legal-pot-civil-unions.html#mor Washington fares even better with 50-37 support. The more controversial Oregon initiative is not doing too good, with negative support at 43-46. http://www.wweek.com/portland/article-19599-mari_wanna.html . While Washington and Colorado are sitting on comfortable piles of cash, Oregon is broke and could use some help. You can pitch in at Oregon campaign donations www.octa2012.com. Put your money where your mouth is, support the marijuana legalization initiatives in all three states, Colorado http://www.regulatemarijuana.org/, Oregon www.octa2012.com and Washington http://www.newapproachwa.org. 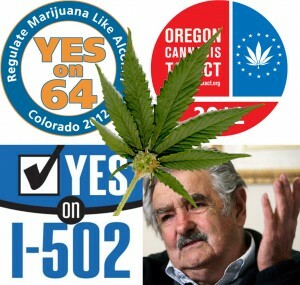 You can also spread the theme song for Colorado prop 64 http://www.regulatemarijuana.org/news/listen-yes-64-theme-song. Each of these initiatives has its strengths and weaknesses, and none of them is perfect, but they certainly are a big step in the right direction and deserve your support. Author Jeffrey DhywoodPosted on August 30, 2012 September 5, 2012 Categories Drug legalization, Drug policy reform, Latin America, legalización de la mariguana, marijuana legalization, reforma de la política de drogasTags drug policy reform, end the war on drug, marijuana legalization2 Comments on Colorado, Oregon, Washington or … Uruguay, who will be first? 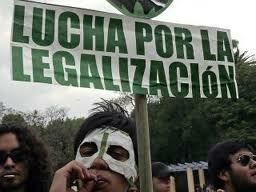 The Uruguayan government is getting ready to send its marijuana legalization proposal to parliament for debate. That’s for the good news; the project is plugging along. The bad news is that so far only 24% of the Uruguay population support the proposal; President Mujica would like to get 60% approval to finalize the proposal, counting on widening support as the debates unfolds, a steep uphill educational battle ahead! Meanwhile, Portugal has seen a 50% drop in drug abuse since the decriminalization of drug use and widespread adoption of harm reduction measures in 2001; drug-related crime dropped even further. 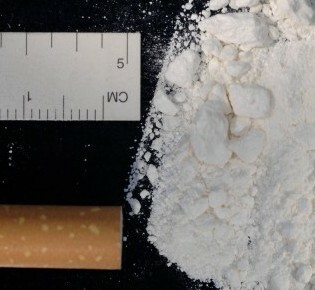 http://www.forbes.com/sites/erikkain/2011/07/05/ten-years-after-decriminalization-drug-abuse-down-by-half-in-portugal/. If you read Portuguese: http://www.cmjornal.xl.pt/detalhe/noticias/nacional/saude/a-toxicodependencia-esta-a-diminuir For more detailed analysis: http://academiajurisprudenciapr.org/wp-content/uploads/2012/03/Puerto-Rico-Marzo-06-2012.pdf. Need more evidence than prohibition doesn’t work? Elections in Mexico: the return of the PRI – did the dinosaurs learn how to fly? On July 1st, 2012, Mexican people elected a new president, soundly routing out the PAN, the party of exiting president Calderon. After a 12-years lapse, they returned to power the party that had ruled the land with an iron fist through systemic corruption and patronage for 71 years, until its historic 2000 defeat. The PAN itself had broken the PRI’s 71-years grip on power on July 2, 2000, after the first reasonably fair election in the history of Mexico. The fairness of the 2000 election can be credited to Ernesto Zedillo, the last president of the then uninterrupted PRI rule, who ended up displaying surprising honesty and integrity. Unlike the vast majority of his predecessors, Zedillo didn’t amass vast fortunes while in office, he didn’t empty the country’s coffers before leaving office, and he set in place the conditions for reasonably fair elections and a smooth transition of power to PRI’s longtime nemesis. Why, then, did Mexicans return to power the much loathed and feared PRI after a mere 12 years hiatus? Several reasons have been advanced, starting with the relative weakness of the PRI’s presidential opponents. The most serious contender, leftist Andre-Manuel Lopez Obrador, known by his acronym AMLO, spooked moderates with his raucous and bitter reaction to his narrow loss of the contentious 2006 election, giving him a reputation of cranky sore loser. On the right, PAN’s candidate Josefina Vázquez Mota proved a rather tepid candidate with an uninspiring program based on vague claims for changes that voters could never quite figure out. She was further plagued by the unpopularity of her own party and its lukewarm support of her candidacy. But the real reason for the PRI return to power is that it never left power in the first place; it merely retreated to its base at the state and local level and dug in to rebuild its power base and transform its government apparatus into a powerful political machine. Local governments are often run as fiefdoms in Mexico, frequently in open collusion with organized crime through all branches of government, starting with police and justice. The PRI controlled all 31 of the Mexican states until 1989. It still hanged on to 17 states at its lowest point in 2006, a share that grew back to 20 in 2010, and 22 in 2012 as the reconquest picks up steam. To properly understand the power of the PRI and its symbiotic relationship with organized crime, we must flashback one hundred years in history. In the aftermath of the often messy Mexican revolution, the PRI grabbed power and held on to it for seven decades thanks to widespread institutionalized fraud and rigged elections. The Mexican revolution coincided with the first opium prohibition laws in the US, which some Mexican revolutionaries opportunistically exploited to finance their operations through opium production and trafficking. The deep-rooted relationships between government and organized crime and drug traffickers were consolidated after the revolution and became one of the backbone of the PRI hold to power and an almost endless source of shady money. These links were especially strong, almost symbiotic at the state and local level. Thus were born the “gomeros”, as were nicknamed the opium producers, and their dynasties in the states of Sinaloa and Durango. Transit routes were established through the states of Baja California, Sonora and Chihuahua. The small village of Badiraguato in Sinaloa at the heart of the gomeros territory gained notoriety as birthplace of a litany of druglords luminaries, starting with Pedro Aviles, the first Mexican drug kingpin, Ernesto Fonseca Carrillo who established the modern Mexican drug cartels and the Colombian connection in the 1970s, Ismael “El Mayo” Zambada, his associate the legendary Joaquin “El Chapo” Guzman Loera, and his cousins the Beltran Leyva brothers, among others. A Pax Mafiosa was established, where the average citizen was essentially spared, except for the practically mandatory bribes required for virtually every single administrative operation, while drugs transited through the country without noticeable trail. The market was divided between two broad alliances in relatively peaceful coexistence, around the Sinaloa cartel on the Pacific side, and the Gulf cartel on the Caribbean sides. • As the old “Dons” retired or were eliminated, cartels broke down in competing factions and a far more ambitious generation emerged in the late 1980s. • The closing of the Caribbean route through the Bahamas helped launch the Mexican trampoline to transit the cocaine from Colombia, dramatically raising the stakes and exciting the lust of the hot-blooded newcomers who had little patience and understanding for the virtues of backroom dealings and political patronage. • With the 1994 Signing of NAFTA, Mexican authorities came under increased pressure to give more than token support to the US War on Drugs. The administration of Ernesto Zedillo started distancing itself from the drug cartels, a move that was extended under President Vicente Fox in 2000. Felipe Calderon turned to full-fledged warfare at the onset of his bitterly contested presidency, unleashing the army unto the drug cartels and launching his doomed War on Drugs. The move was widely viewed as an attempt to prop up and legitimate his fragile powerbase, but largely backfired with disastrous consequences. The militarization of drug enforcement in Mexico yielded over 60,000 deaths, 20,000 disappeared and 300,000 displaced. • Coinciding with the end of the one-party rule, the Pax Mafiosa unraveled within the cartels as well. Alliances exploded, former allies went at each other’s throats with unprecedented violence and savagery. • An entire US-trained elite army unit defected in 1999 to work as hired guns for the Gulf cartel as los Zetas. Los Zetas launched the militarization of the drug cartels themselves; the cartels started large-scale recruitment campaigns through banner advertising, medias and the internet, setting up military-style training camps. Paramilitary convoys of heavily armed thugs routinely run commando operations against rivals or the army. The power of Los Zetas grew dramatically thanks to careful recruiting via secret army connections in Mexico itself and in Guatemala, where los Zetas set up a franchise. They diversified their operations into extortion, kidnapping and human trafficking and set up top-notch accounting systems. As their power kept growing, los Zetas distanced themselves gradually from the Gulf Cartel, whose power was waning after the arrest of its leader, leading to a bloody split in 2010 and an explosion of brutality and violence that is still ongoing to this day. “Plomo o plata”, bribe or bullet, has been the core strategy of the cartels from the onset, but Los Zetas’ primary objective is to instill fear, while the Sinaloa cartel still prefers patronage and backroom dealings. This may explain why the Calderon administration largely spared the Sinaloa cartel in its fight against the cartels. It should be noted a significant strategic change in the cartels modus operandi, which has had far-reaching consequences: whether produced locally or transited, drugs were traditionally exported in their entirety, with no significant local trail. In the 1980s, the Colombian cartels started paying their Mexican associates in merchandise instead of cash in order to spread the risks and to lower the money-laundering costs. The strategy backfired and allowed the Mexican cartels’ takeover of international drug trafficking. The Mexican cartels themselves started paying for services in kind, but the merchandize involved in the transactions mostly stayed within the country, and fueled a rapidly growing internal marketplace. As the trail left by narcotrafficking keeps growing, violence is increasingly for control of local markets rather than transit routes and is expanding throughout the entire country. Mexico must now face a rapidly growing substance abuse problem of a magnitude that it has so far failed to acknowledge. It should be noted that Mexico’s fate is shared by most emerging countries located on transiting or producing zones throughout Latin America, West Africa and Central Asia. The Mexican public went into the 2012 elections weary and fatigued, almost resigned, without enthusiasm or passion. While the issue of violence was omnipresent throughout the campaign, it was never addressed in any meaningful way by any of the three leading candidates; proposals were characterized mostly by their consistent vagueness. The Mexican War on Drugs itself was a hot potato issue promptly discarded with platitudes. Within the public was palpable a secret longing and nostalgia for a time when crime was more or less controlled and largely a matter of understanding between governments and criminal organizations, sparing the average citizen. Now that the PRI got back to power, what can be expected? Given the profound transformation that reshaped the Mexican drug-trafficking landscape over the past 12 to 15 years, a return to the old cozy relationship between government and organized crime is unrealistic outside of the areas where such relationship was never disrupted. Given the paucity of details delivered on the campaign trail where broad promises ruled over the practical means to fulfill them, we are reduced to interpreting the rather opaque internal evolution of the party since its historical 2000 defeat, or rather, since the 1994 election of Ernesto Zedillo. Zedillo was hastily picked by the PRI establishment four months before the 1994 elections after the assassination in Tijuana of presidential candidate Luis Donaldo Colosio, who was viewed as a reformist within his party. Colosio’s murder is still unresolved and remains shrouded in rumors. Internal infighting within the PRI is widely invoked, especially as Colosio’s assassination was followed a few months later by the assassination in plain daylight in Mexico City of PRI president José Francisco Ruiz Massieu, brother-in-law of then president Carlos Salinas de Gortari. Salinas’ own brother Raul was later charged for Massieu’s assassination. Mr. Salinas reign ended in scandals and controversy, his name synonymous with corruption and greed. Left with empty coffers, which constrained him to a hasty devaluation upon taking office in December 1994, Zedillo turned against his mentor and accused him of ordering Colosio’s murder, among others. Suspect bank accounts and suspicious money transfers were linked to the Salinas clan and Salinas himself self-exiled to Northern Ireland. As already noted, Zedillo set in place the conditions for reasonably fair elections in 2000. Zedillo was rather unpopular within his own party who felt betrayed by him. To avoid a repeat of the Zedillo experience, the PRI selected a particularly dinosaurian candidate, Francisco Labastida, who lost decisively to Vicente Fox. The 2006 PRI candidate Roberto Madrazo was even more dinosaurian and suffered a humiliating defeat amidst open internal infighting, while the PRI’s state base shrunk to 17. Reality finally sunk in that some changes were badly needed. Thus was launched a charm offensive centered on heartthrob Enrique Pena Nieto, EPN. Back from his self-imposed exiled, Salinas de Gortari is widely suspected to be pulling the strings of his longtime protégé EPN. Also behind EPN, is the powerful TV network Televisa, where EPN’s wife Angélica Rivera is a popular soap opera star, and who played a crucial role in building up EPN over the past few years, turning his governorship into a real life soap-opera. EPN was handpicked in 2005 as governor of the state of Mexico by his predecessor from 1999 to 2005, his uncle Arturo Montiel Rojas. Arturo Montiel Rojas sought his party nomination for the 2006 presidential elections but dropped his bid among charges of widespread fraud and corruption. Monteil Rojas is widely suspected of creating for him and his sons a personal fortune worth 100s of millions of dollars through traffic of influences and the use of public funds for private purposes, among others. Monteil Rojas was acquitted in 2006 thanks to his successor, protégé and parent, EPN himself. Both Monteil and Pena Nieto are rumored to belong to the “Grupo Atlacomulco”, named after the birthplace of a long dynasty of politicians stretching back to 1942. Often synonymous with impunity, the nebulous group saw public service as a means of private enrichment, and produced six governors of the state of Mexico since 1942. The group also had an obsessive fixation on producing a Mexican president, a fixation that Pena Nieto fulfilled after several unsuccessful attempts. To say that EPN is surrounded with shoddy characters is understated. Nevertheless, operation EPN was masterfully planned and executed. The PRI presented a firmly united front; its candidate approached the electoral season with stellar name recognition and a solid lead in the polls that was never seriously challenged throughout the campaign. But what kind of president will EPN be, and what kind of party has the PRI evolved into remains largely a mystery. Did the PRI merely get a facelift, or did it evolve and even mutate? Without a doubt, dinosaurs still abound within the party, but did the new generation learn how to fly? The 1994 presidential election, that saw the assassination of candidate Luis Donaldo Colosio and the subsequent election of Ernesto Zedillo, clearly demonstrate that the PRI is not as monolithic as most people think, although what it reveals about its means of handling dissensions is disquieting, for the least. The challenges facing the country are numerous and deep-rooted, most of them creation of and leftovers from the PRI rule and consequences of the PRI’s legacy of corruption by design that permeates the entire government apparatus, where rules and regulations are often intended as a mean to repay favors or extract bribes, especially at the state and local level. The often inextricable and confusing web of government procedures is considered a black hole of red tape. Thus for instance, the process for the opening and operation of even the simplest business is fraught with all kinds of obstacles, requiring up to a dozen different permits or more, and the required formalities are well beyond the capacity of a generally poorly educated population. As a result, the informal economy accounts for 30% of PNB and employs over 15 million people, sustaining over 30% of the population; it is also an inexhaustible source of extortion and bribing opportunities by officials and criminals alike, leaving the concerned populations exposed to all kinds of criminal activities. Capricious, arbitrary and excessive regulations are the main obstacle to the integration of the informal economy. To his credit, EPN promised to simplify the tax system to reduce the size of the informal economy and boost revenues, which would be a positive first step, but to be successful, the simplification must take place at the state and local level as well. Another product of corruption by design is the highly dysfunctional and totally opaque justice system that is in dire need of deep structural reform, if not complete overhaul. Impunity is the rule in criminal cases. Civil cases can go on for decades, for the sole benefit of bribe-collecting judges and fee-collecting lawyers. Flawed property laws leave the door open to all kinds of frauds and abuse. Labor laws are extremely rigid and obsolete, often bordering the absurd; thus, some teaching jobs are hereditary and can be bought or sold. Many of Mexico’s teachers are imaginary or dead, some of them are barely literate; absenteeism is rampant; 80% of education expenditures go to teachers’ payroll. Calderon’s attempt to impose competency tests for teachers were met by stiff opposition and resulted in teacher riots in many parts of the country. In the economic arena, corruption by design and systemic clientelism spawned the emergence of a neo-feudal system of quasi-monopolies operating behind custom-made regulatory firewalls and controlling vast sectors of the economy from telecommunications, to TV, to food-processing, to cement, to tortilla, sliced bread, alcohol, beer or dairy products. With bloated and highly inefficient states monopolies controlling oil and power, all the vital sectors of the economy are under tight control, stifling competition, raising costs and ultimately creating major hurdles to economic development. Mexicans pay as much as 40 percent more for basic goods and services because of monopolistic practices. The Mexican economy bears a heavy toll for the exorbitant privileges granted telecoms conglomerate Telmex/Telcel that turned its owner Carlos Slim into the richest man in the world, with a fortune equal to 7% of Mexican PNB. According to a 2012 report released by the OECD (Organisation for Economic Cooperation and Development), Mexican telecommunications customers are overcharged $13.4 billion per year, while the total loss attributed to the dysfunctional Mexican telecoms sector is estimated at $129.2 billion between 2005 and 2009, 1.8% GDP per annum. In the media sector, two television networks, Televisa and TV Azteca control 97% of the country’s television viewership. Run by Emilio Azcarraga Jean, “El Tigrillo”, Televisa is the dominant player with 68% of the audience and yields considerable political might, with the power to make or break political careers. Televisa has been repeatedly accused of being the architect of the Pena Nieto reconquest operation, and the student movement YoSoy132, mobilized for months to protest against Televisa’s bias. EPN promised to open up the Pemex oil monopoly, and the CFE power monopoly, but it is doubtful that he will do much to curtail the power of Telmex,Televisa, or any of the other oligarchies. The most pressing issue facing EPN, and the one for which he is most anxiously watched in the US is the Mexican War on Drugs and the cartel violence. While he promised policy changes on the campaign trail, EPN remained extremely short on details. He committed nonetheless to change focus from combating drug trafficking to curbing violent crime, kidnapping, extortion and robbery. This will be a welcome move within Mexico if he can deliver, as justification is hard to find for prioritizing the fight against drug trafficking, a criminal activity that affects mostly a foreign country, over the fight against the crimes that affect all Mexicans. EPN also insisted on the US responsibility in controlling guns trade towards Mexico. With victory behind him, EPN could become more open about his real intentions; just two days after the elections, EPN declared in an interview with well-respected PBS that legalization should be part of the drug strategy debate. EPN’s openness to the drug legalization debate might explain the surprising support he received from ex-president Vicente Fox, who defeated the PRI in 2000. Vicente Fox, along with his predecessor Ernesto Zedillo, has been a vocal opponent of the war on drugs since leaving office. The debate about drug policy reform has evolved rapidly in Latin America over the past few years, with calls for reform coming from a growing number of retired presidents, including the last two Mexican presidents, and ex-presidents of Colombia, Brazil and Chile. Colombian President Santos has toyed for a while with the idea of legalization, and his government decriminalized possession of cocaine and marijuana for personal use on June 29. Guatemalan president has been asking for an open debate about legalization since taking office in January 2012, while Uruguay announced on June 22 its intention to legalize and control marijuana. Argentine and Brazil are currently debating their own drug policies. Drug possession for personal use is decriminalized in most of the region. Mexico joining the drug reformist camp would signal a radical shift in the region and could be the catalyst needed for the formation of a regional coalition for drug policy reform. Did he learn how to fly? So, what can we expect from Pena Nieto and his party for the next 6 years? His two predecessors made sweeping promises of reforms they could never deliver for lack of support in the Mexican senate and congress. The PRI being the largest party in both houses, Pena Nieto will have more latitude to implement the much needed structural reforms he promised on the campaign trail, and that are strikingly similar to those sought by the PAN for the past 12 years. He is still short of a majority and will need to build alliances. Pena Nieto and the PRI will be under intense scrutiny over the next 6 years, both from inside and from the US. In any case, the PRI should be kept in check thanks to its lack of absolute majority, which could also be a recipe for paralysis and an alibi for maintaining the status quo. The PRI has been given a second chance. Will it squander it or will it make the most of it? Although his legacy has been badly tainted by his doomed War on Drugs, Calderon leaves a country with remarkable economic fundamentals and a rapidly improving investment climate, moderate public spending, solid fiscal accounts, low inflation, low interest rates and a stable currency. 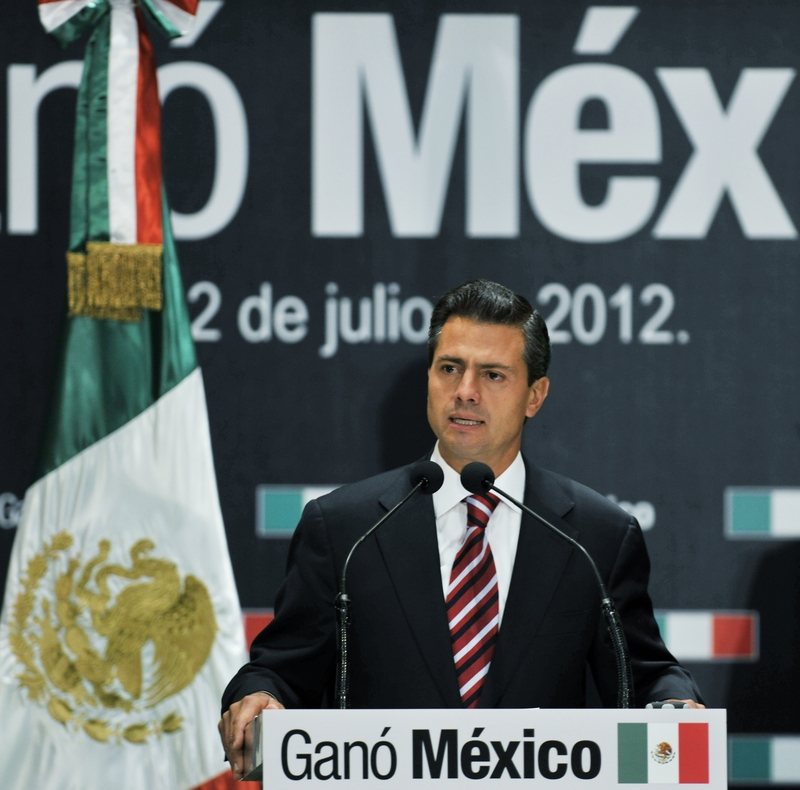 Mexico is projected to grow more than 4.5 percent in 2012, its fastest growth rate in a decade. On the flip side, inequality and poverty have been growing steadily over the past 6 years, not to mention out of control violence and insecurity. Enrique Pena Nieto thus inherits an economically and fiscally sound Mexico, though confronted with daunting security and poverty issues. Will he live up to the occasion, build on the legacy he inherits, and propel the country into the century with the badly required reforms? Will he rein in the neo-feudal system of concentrated economic power that created him in the first place? Did the little dinosaur evolve enough to learn how to fly? Will he resist the predatory impulses of his mentors and his ancestors? As governor of the state of Mexico from 2005 to 2011, Pena Nieto built a reputation of openness and tolerance, with strong negotiating skills and a capacity to build alliances across the political spectrum. He cut the state’s debt by about a quarter, ramped up investment and his state outperformed the Mexican economy. He will need all of these skills and more to succeed in his new position. A return of the PRI to its plutocratic past is unlikely, as is a return to the Pax Mafiosa of the past, which doesn’t rule out some backroom understanding with the least violent cartels, or even a de-facto alliance to crush the much reviled Zetas. 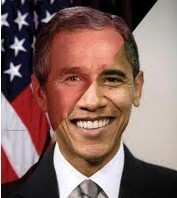 The country has changed dramatically over the past 18 years. The transformation launched by Ernesto Zedillo is irreversible. If he hasn’t learned how to fly yet, EPN might not have another choice but to try. Author Jeffrey DhywoodPosted on July 6, 2012 July 7, 2012 Categories Drug policy reform, Latin America, MexicoTags corruption, corruption by design, drug cartels, drug policy reform, Enrique Pena Nieto, Ernesto Zedillo, Grupo Atlacomulco, Mexican presidential elections, Mexican War on Drugs, Montiel Rojas, Vicente Fox, violenceLeave a comment on Elections in Mexico: the return of the PRI – did the dinosaurs learn how to fly? Following the announcement on June 20 of a project to legalize and control marijuana in Uruguay, a vigorous debate has been started with proponents and opponents furbishing their weapons. The initial project of creating a national registry of users seems to have been shelved, and the idea of state-run production and retail seems to have been ruled out in favor of closely monitored private businesses. A proposal for legalization of cultivation for personal use might be folded into the new legalization proposal. “The most important is to have a debate; this debate will take place until the law is approved, and will keep going after that, as we will need to regulate” declared Julio Calzada, secretary general of the National Drugs Board. The international media has been generally supportive and the news have been welcomed, with the Time wondering if the rest of the world should follow. Not everybody is pleased of course. Yury Fedotov, executive director of the UN Office on Drugs on Crime told reporters: “Should it happen of course that would be a serious violation of the Single convention and Uruguay is a party to this convention… I’m also aware that the President of the International Narcotic Control Board is planning an urgent mission to Uruguay to discuss the situation with the authorities of this country.” There is no official reaction from the US administration; drug czar Gil Kerlikowske has remained silent so far. While Guatemalan president Perez Molina warmly greeted the news, Colombia President Juan Manuel Santos, who had appeared to be favorable to open drug policy debate, was highly critical of the Uruguayan move. The Uruguayan debate must be followed closely in neighboring Brazil and Argentina where a debate on drug policy in ongoing, with Brazil scheduled to vote in July on decriminalization of possession for personal use of all drugs. Uruguay needs our support. If you haven’t done so yet, I urge you to sign the petition in support of the marijuana legalization project in Uruguay. If you signed already, help to promote it. Share on social networks and email. We need a success story in MJ legalization and Uruguay can be it. They will get a lot pressure from the UN and the US government. Let’s give them support from people from the US and everywhere. Uruguay is opening the gates and can be the very first of many. Brazil and Argentine have been debating their own drug policies for a while, they could be next. This could be the beginning of a domino effect. 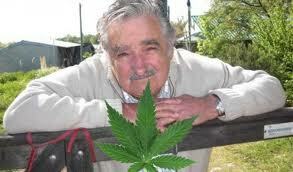 Uruguay is calling on the international community to consider marijuana legalization. Let’s respond to them. Guatemala seems to get ready for a major announcement about drug policy reform. I will keep you posted. It is time to revive our Guatemala petition http://signon.org/sign/support-guatemalan-president that had been dormant since the April 14-15 OAS summit. Please sign it if you haven’t done so, and start spreading it around you. We should have more news next week. The reference book on prohibitionism, psychoactive substances and drug policy reform! Please add your name to support marijuana legalization in Uruguay, and click to sign at the bottom of the form. Pedro Bordaberry, @PedroBordaberry, President of the CEN colorado, was minister of Tourism and Industry in the Government of Jorge Batlle, the first head of state in the world to call for the legalization of all drugs in 2000, shortly after taking office. Become a better informed activist and support global drug policy reform! Order your own copy of “Word War-D”, the reference book on prohibitionism, psychoactive substances and drug policy reform! Send an email to at least 5 of your friends to promote the petition, asking them to sign it (see underneath a sample email, or write your own). If you do broadcast email campaigns, you should send at least 3 emails, 2 days apart. Post a link to the petition on your own wall. Post if 3 to 4 times per week. If you use twitter, tweet the petition. Send letters to the editors or comments either online, or to your local press. Re-tweet my own tweets, ask your friends to re-tweet. Re-tweeting is a great way to generate a buzz. My Twitter account: @JDhywood. Post on the Facebook pages of President Molina and his vice-president Roxana Baldetti, as well as all the regional leaders, from Panama to Mexico. Send them emails when possible. Be courteous and respectful please! Many people have commented that this petition is made for AVAAZ and I couldn’t agree more. With AVAAZ behind us, we would rapidly reach 100,000s signers. AVAAZ has more mobilizing power than anybody else in the world, and considering their past history of support for drug policy reform, they ought to support the Perez Molina petition. This is the message I would like you all to send to AVAAZ. There is a virtual community http://svc.summit-americas.org/ with discussion groups and forums. C.P. 06067. México, Distrito Federal. Diffuse, promote, share, be an activist!Act now! The petition has already reached 6,300 signers, but we need far more than that. There will be on March 24th a meeting in Guatemala of 7 regional presidents (Panamá, Costa Rica, El Salvador, Honduras, Guatemala, Nicaragua, & Belize) to discuss the Perez Molina initiative. I am trying to collect as many signatures as possible to deliver at the meeting. Three weeks later, 34 countries will attend the Summit of the Americas in Cartagena, Colombia, and drug legalization will be high on the agenda. This will be the first time ever that legalization is debated at a major international Summit! It is an opportunity that we cannot afford to waste. This is an unprecedented event and all activists should take advantage of this opportunity to generate massive mobilization of support for significant and meaningful debate on drug policy reform, especially as obstruction can be expected from the US. There is a window of opportunity here, where a truthful debate might finally take place (despite US efforts at nipping it in the bud), and we have the opportunity to influence this debate. We cannot stay on the sideline and we have to get involved.